European Auto Service Center (EASC) in Coral Gables/Miami has been providing automobile repair and maintenance services for more than 25 years. The Company is managed by father/son, Tito and John. Over the years, we’ve been blessed with a great number of loyal customers and our auto repair shop has gained a positive reputation for having both highly skilled mechanics and for providing professional and personal service across a broad range of car repair work. We specialize in the following car makes: SAAB, BMW, Mini, Mercedes, Audi, VW, Volvo. We offer 10% off for first time customers. 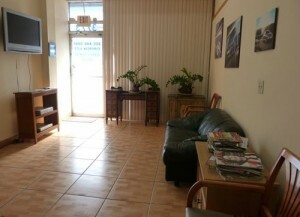 So, if you’re looking for a great place to take your car to get serviced, just give us a call. We provide honest, high quality work and our prices are fair and competitive. In case your car requires work that takes a little while, we provide a comfortable seating area where you can enjoy Free Wi-Fi, TV and magazines. Give us a call today and one of our friendly team members will be happy to assist you.